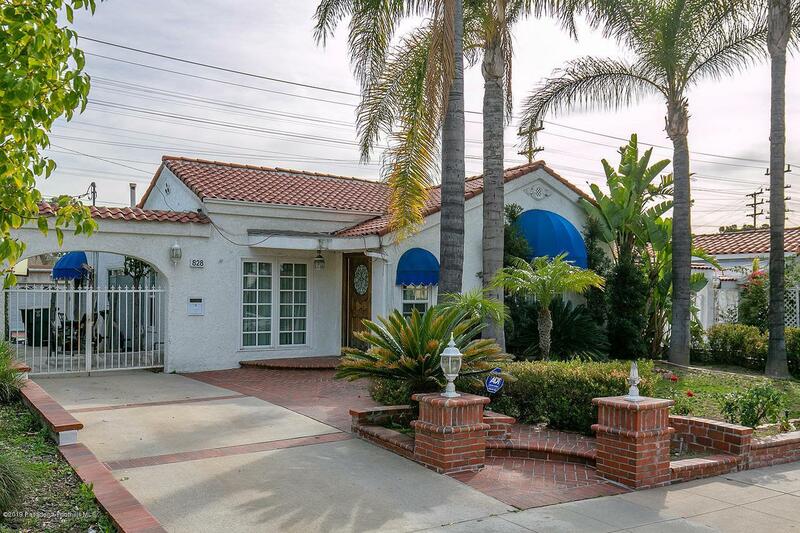 Charming Spanish home located in the desirable Rossmoyne neighborhood of Glendale. 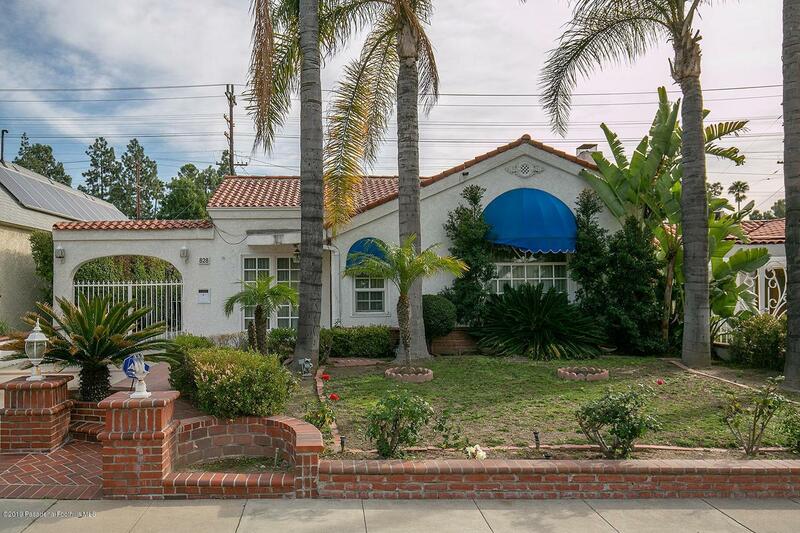 Incredible opportunity to buy into one of Glendale's scenic & prized areas w/architectural diversity & charm. 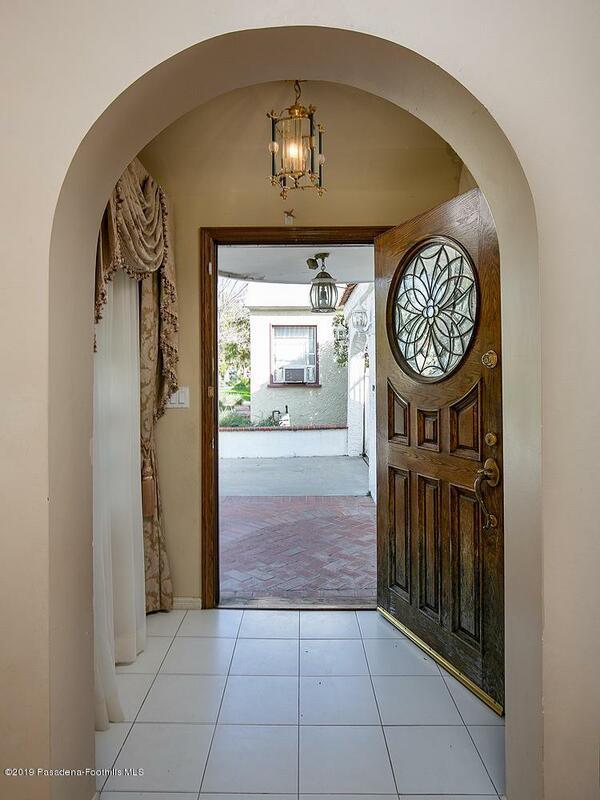 Entryway w/arch leading into a spacious, light filled living room with a lovely fireplace & hardwood floors. High ceilings w/attractive arches framing the windows adds to the characteristic features of this home. Archway to formal dining room w/ hardwood floors. Large kitchen w/extensive counters & cabinets is perfect for the gourmet cook. Breakfast counter bar. Family room area off kitchen w/sliding glass door to private back yard. Wonderful entertaining space for family gatherings w/excellent flow from living room thru dining room to kitchen/family room. A perfect party home. Bedrooms have hardwood floors & good sized closets w/mirrored doors. Bonus room off second bedroom could be used as study, walk-in closet, nursery, gym, etc. Detached finished garage, used as a bonus room. Cozy private back yard w/covered patio & mountain views is a perfect setting for relaxing & unwinding. Many upgrades-copper plumbing, double glazed windows, FA/CA, custom draperies. Close to freeways, restaurants, shops & the famous Americana Mall. Be a part of the Buzzing Glendale Scene! 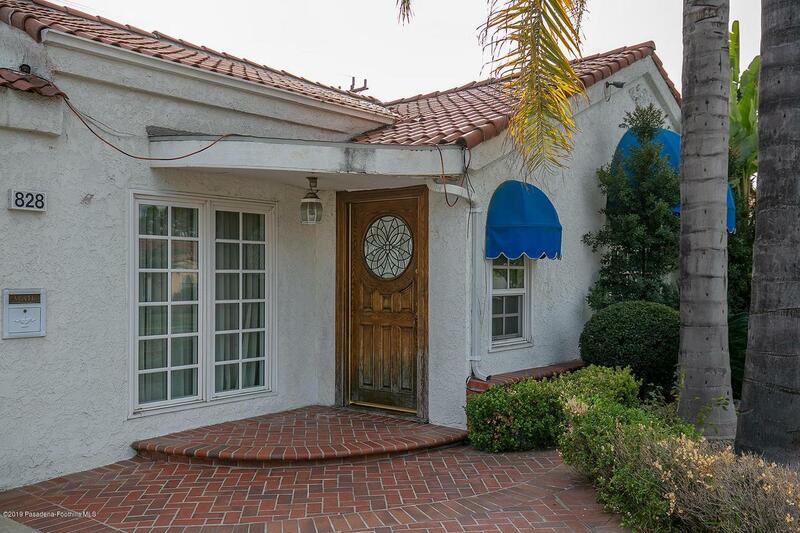 Sold by Pretam Fuqua BRE#01074015 of Coldwell Banker Residential Brokerage Company. Listing provided courtesy of Pretam Fuqua DRE#01074015 of Coldwell Banker Residential Brokerage Company.